For clarifying while pumping over in a single tank. The Eco-Flot flotator is a machine suitable for clarifying grape must while it is pumping over, using only one tank. The machine is of ultracompact design and installed on a practical trolley to guarantee an effective and economically advantageous flotation. 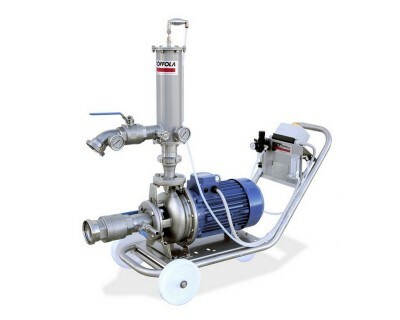 This model of flotator is highly versatile because once the liquid has been saturated while the must is pumping over, a sample is collected to analyse the quality of the product: if this is still not adequate, pumping over and saturation can continue for as long as necessary.